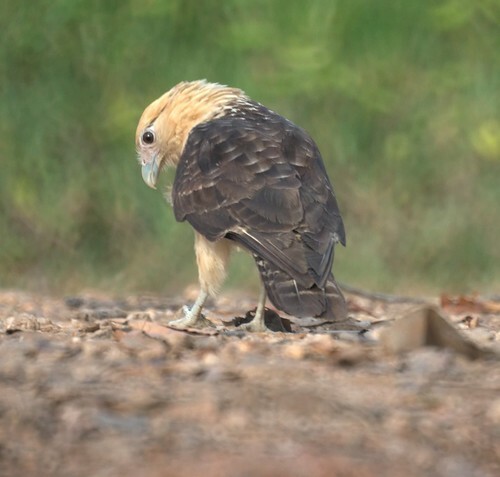 We observed a Yellow Headed Caracara fairly close up from a boat in Caroni Swamp in Trinidad. 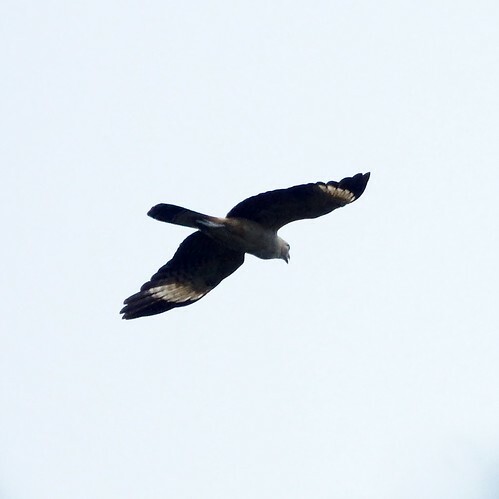 A few days later, one flew over our heads in Tobago. By the way, we usually take a chance and don't get the recommended vaccines when traveling. Perhaps we should if we take a birding trip again since some of the best places for birds are swamps and sewage treatment plants.